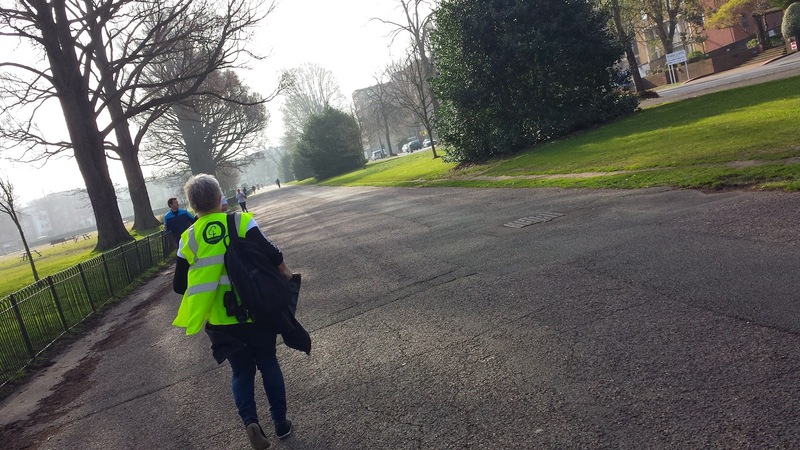 With the weather looking half-decent and a few Brighton-based things on my to-do list, I headed down to the south coast with my wife and daughter to run at the youngest of the two parkruns in Brighton - Preston Park parkrun. 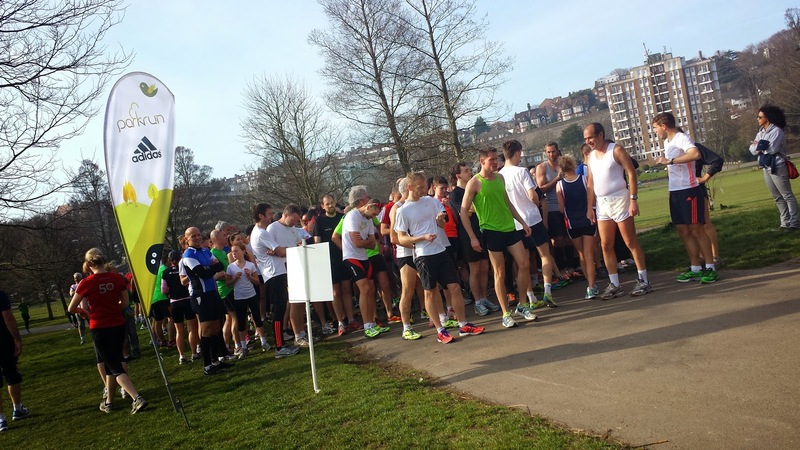 I visited the other one, Brighton and Hove parkrun (my blog post) back in september 2012. The park is adjacent to the A23, which is the main road in and out of the north of Brighton. So it is relatively easy to find even if you are unfamiliar with the local area. There are a few options when it comes to parking - there is a road that runs through the park called The Drive and there is some space for parking here. On a Saturday morning there are no car parking fees to use this car park, so if you arrive early, you can nab yourself one of these spaces. If this is full, there are some free on-road parking spaces on Preston Drove. Failing that, you might have to pay to park on one of the other adjacent roads. Anyone travelling by train would be looking to alight, in order of proximity to the park, at either Preston Park, London Road (Brighton), or Brighton stations. Cyclists are pretty well catered for on Brighton's roads. So for the locals, cycling is a real option. 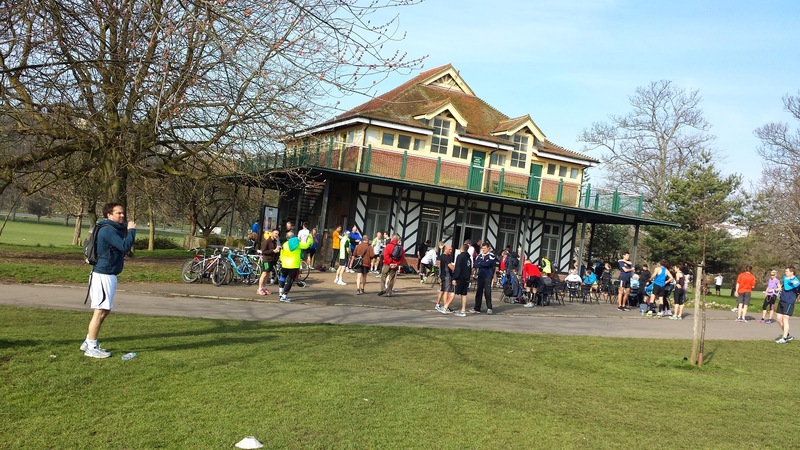 There is a bicycle rack just outside the Preston Park Chalet, which is also the meeting point for the run. It does fill up, but there are trees and some lap posts that can be used as backup options for securing your bike. 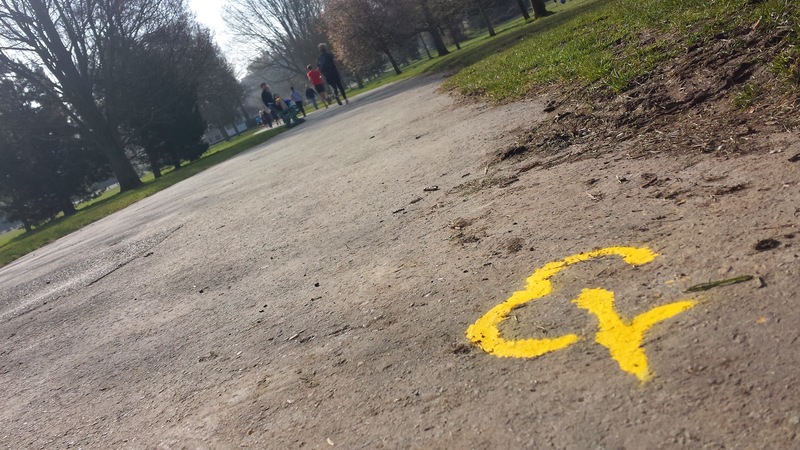 While on the subject of cycling, the north-east corner of the park is home to the Preston Park Velodrome, which is the oldest cycling track in the country. 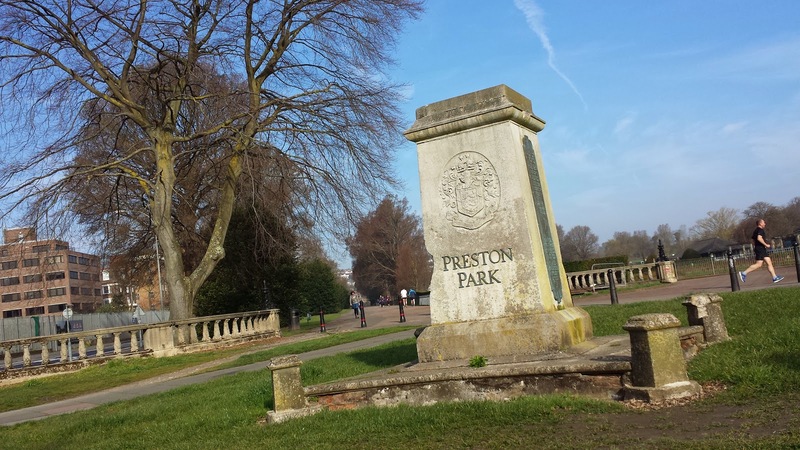 For many runners, Preston Park will be familiar as it is used as the start area for the Brighton Marathon. It is also used for concerts, fairs and other large events. It is also home to the 'Preston Twins' which are widely considered to be the largest and oldest surviving English Elm trees in Europe. The trees also provide a home to the elm-dependent 'white-letter hairstreak' butterflies. The park also has a very impressive looking rock garden, which is situated on the other side of the A23. There are toilets in the Preston park Chalet which open at 8am, this is the building right in the centre of the park near the start/finish area. There are also some more at the southern tip of the park in the Rotunda. Other park facilities include two cafes, a children's playground, tennis courts, football pitches, cricket fields, basketball courts and bowling greens. The run takes place on beautifully smooth tarmac so is suitable for buggy runners and as far as I can tell, wheelchair athletes. As far as the course layout goes, it's an interesting one. It starts with an upside-down and possibly back-to-front L shaped out-and-back section, which is then followed by two P shaped laps. The run starts from the Chalet and heads towards the north-west corner where the runners pass through the gaps in a line of metal posts (Watch out!) that were wearing their own set of hi-viz gear. There's a short downhill section before the runners turn left and run on the wide footpath parallel to the A23 (there's also another set of metal posts along here). At the far end there is a marshal and a cone to mark the turnaround point. From here the runners head back along the wide footpath and at the very end turn right to head back up the incline and then back around to the start point. 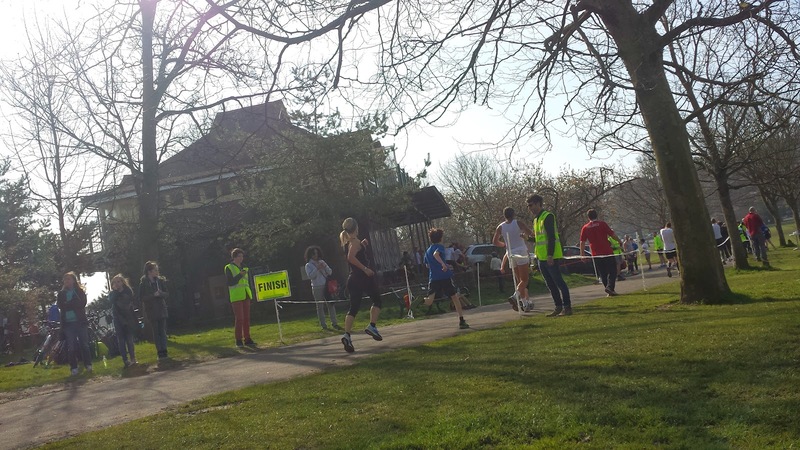 Upon returning to the start point after completing the L section, the runners continue along the meandering path through the centre of the park, which eventually leads down to the wide footpath adjacent to the A23. They follow it down to the turnaround point and follow the 'back' part of the L section which brings them back around to the start point. The second P lap is the same as the first but the runners peel off to the right just before they reach the chalet, where they find the finish line. I visited this venue at event 49 (results page here). 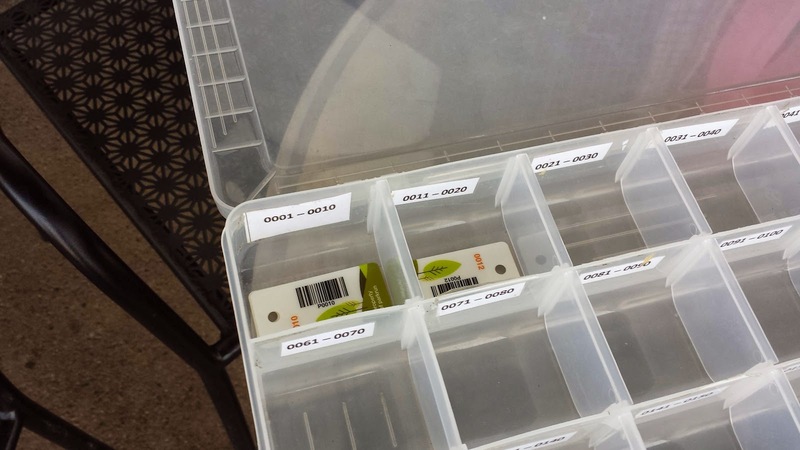 After the run, barcode/finish token scanning takes place at the end of the finish funnel and runners are then responsible for returning their finishing token to the tray on a table outside the chalet. We didn't hang around for the post-run social as we'd already made plans to have brunch elsewhere (us vegetarians/vegans are well catered for in Brighton so it would have been a shame to have wasted the opportunity), but a lot of people did stay and they all looked to be enjoying themselves very much. After the run I counted the bikes around the start/finish and there were around 30 of them, so that's almost 10% of the day's runners travelling by bike. I think that's probably the highest percentage of parkrun bicycle-commuters I've come across in my travels. 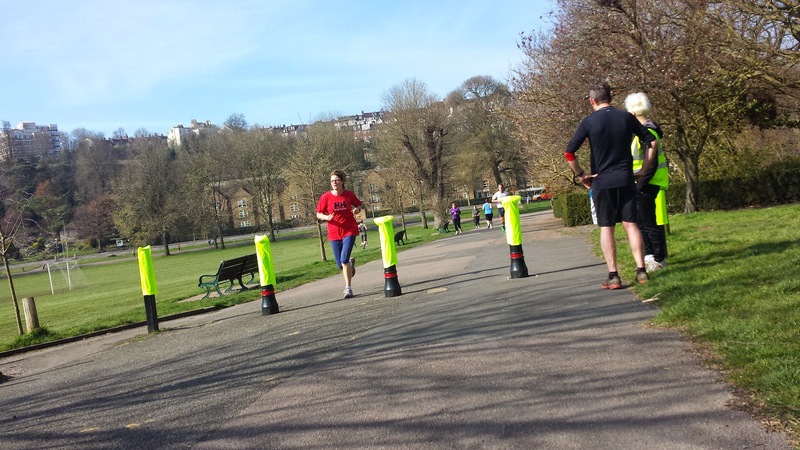 What I found instantly noticeable is that the two parkruns in Brighton both have a very similar feel to them. The parks seem to be very busy and it's very refreshing to see people up and out first thing on a Saturday morning using them, whether it's for a parkrun or another sport. With the popularity of these two venues (about 1,000 parkrunners between the two of them on the weekend I visited), I wouldn't be surprised to see another pop up in the not-too-distant future to cope with the demand. 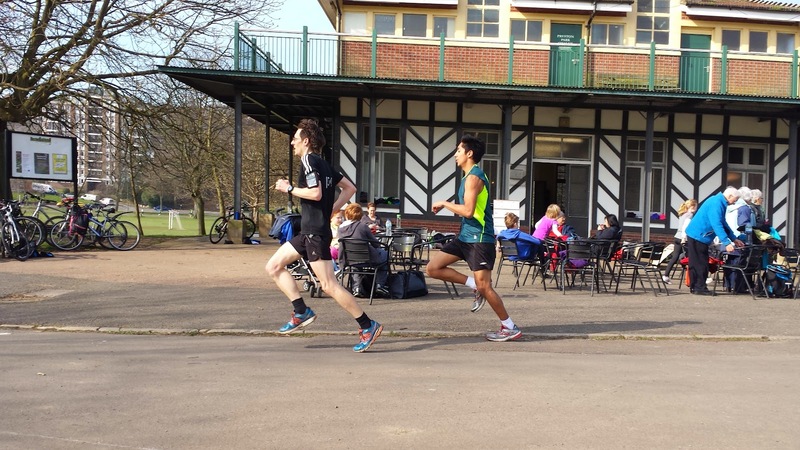 This run was number one in my #7weeksofparkrun challenge. I bagged the 'p' and ran under 20 minutes.